Watching the fires from our backyard. I generally focus on the positive in these blogs. Overall, Laura and I are having an incredible journey. We’re meeting wonderful people, feeling more and more part of a community both at Montaña de Luz and in our small town of Nueva Esperanza, and our sense of the work that we are doing with the kids is becoming more defined and meaningful. Still, and perhaps it is because I am now on week three of a vicious cold that only now seems to be finally dissipating, there are challenging moments. Some of these come from culture and the nuances of a language that neither of us truly master. Other times the challenges come from living in a developing country where things we have always taken for granted are just not present, or at least not consistently. The internet is one of those things. Lately, Tigo, our internet carrier and one of the only two available, has been even less reliable than usual. That also means our phone service as well as the internet connection is a hit or miss deal. As frustrating as it is, however, the frustration is not as severe as when something so seemingly critical is lost in the States. Here, we simply figure out other things to do and pay it less attention. Similarly, I hardly think twice about the fact that I can’t throw toilet paper into the toilet because sewer and septic systems are so tenuous. Mostly, I am overjoyed when I use a toilet outside of my own house and actually find that there is toilet paper. Something that does create anxiety for us, however, is the nightly fires we endure. We’re in the middle of sugar cane harvesting. 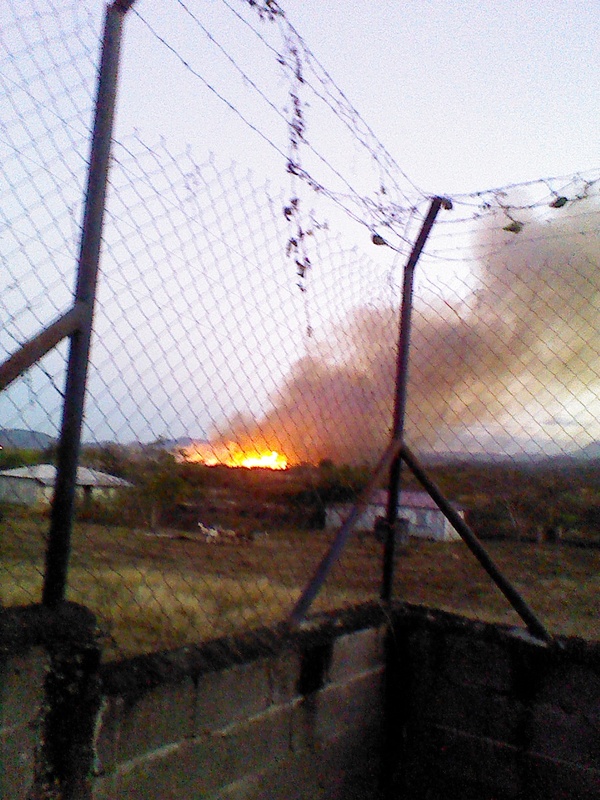 Part of the harvesting process is burning off the cane stalks. I’m told that this is not a necessary part of the process, but it makes the entire process considerably cheaper. 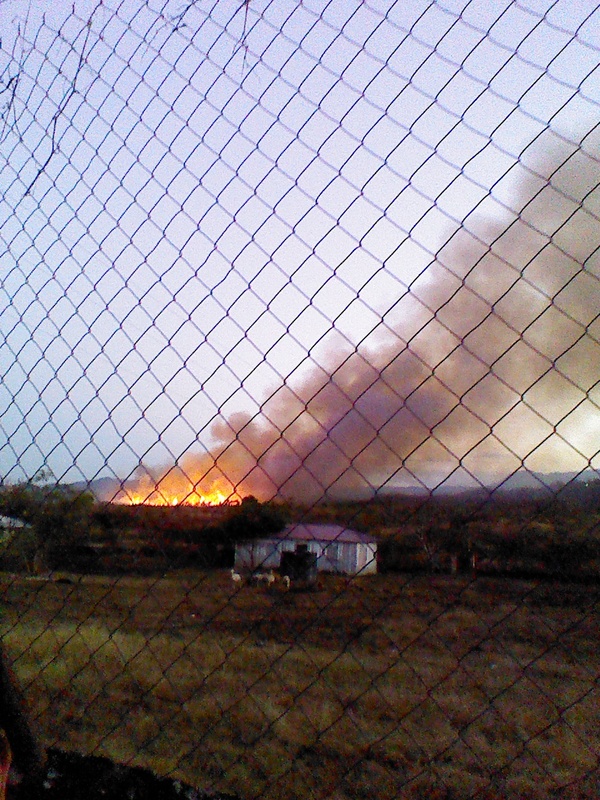 The sugar cane industry is tremendously important here, so it is unlikely that the burning will stop anytime soon. The controlled fires, almost always at night (though I don’t know why), are ferocious. The flames rise up fifty feet into the air within hundreds of yards of homes (including ours). The roar is deafening, the emanating heat, unnerving, and the smoke and ash invades everything. The smoke constricts your lungs and the ash literally snows into our house. All of this, plus we are in the middle of the dry season. Seems rather risky, but all we can do is knock on wood. Those who know me are not surprised that food is my biggest struggle here. Actually, I like a great deal of the food here. I probably eat more of a variety of things here than I do in the States. But serving food is another unique cultural experience. The host always prepares the guest’s plate. He, but most often she, does not ask you what you like, but rather assumes that you will eat everything that you are given. Mostly this is not a problem. I push things to the side. I offer what I don’t like to someone else. Still, this is a culture of acidic and greasy sauces. French fries are served in something that looks like a mayonnaise, sweet, tomatoish soup. Salads are drowned in this stuff. It absorbs into everything on the plate. I have developed a very particular means of asking for a hamburger at a fast-food joint. When I give my order I ask the attendant to please consider that I am an American. I am strange and exotic. I tell him or her that I don’t want anything on my hamburger. I tell him or her that although they might not think that I really mean nothing and that everyone likes mayonnaise, I am actually one of the strangest persons they have ever met. I get them to laugh and nine times out of ten the burger arrives without mayonnaise on it. Living in this culture, living in a developing country, and attempting communication in this language are all tremendous, ongoing challenges. Still, they stretch us to grow. They demand that we search out that which unites us while struggling with all that creates insecurity and mistrust. Beneath all of it there are tremendous riches to be mined. Even with the food. But what has been particularly hard, and has no redeeming value, is being away from friends and family at critical times. Today we heard from a friend whose Dad is severely ill. We know him very well, he’s a close friend, and it’s just so hard not to go and visit him at the hospital. Two people I knew very well as a priest have recently died. It was wrenching for me not to be present at their wakes and funerals. My niece just gave birth to twins on February 13 after a very difficult pregnancy. I am saddened that I will not see or hold Ava Maria or Sonya Nicole until perhaps we go home in the late summer. Laura and I love being here. Still, we are always who we are and are never released from our connections and bonds. We miss you all. Please, remember us as we have not forgotten you.